Earth itself can be viewed as a living organism. All life forms, land, oceans, lakes, rivers and atmosphere are all physically and chemically inextricably linked in an ever cycling process. Changes to the Earth and its many physico-chemical environments impose the stressors (selective pressures) to which life forms must adapt by natural selection and other evolutionary mechanisms or perish. The table below attempts the imposible task on noting the key events over all geological history through which a cycling earth with drifting and colliding continents has undergone to shape life forms past and presents. 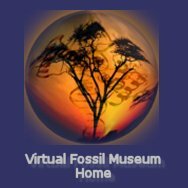 Also open a corresponding table on paleobiology in a side-by-side separate window to view how Earth and Life have changed over the eons, eras periods and epochs of geologic time. Continents have drifted less than a kilometer over Holecene. Last glacial period ended ~ 10 kya causing ~ 35 M sea level rise with concomitant migration of some marine life to inland aquatic environs. End of last glacial period. Continental drift less than 100 kilometres over epoch. Climate dominated by eleven glacial cycles having major impacts on fauna and flora. Continents drifted as much 250 kilometres over epoch; South America linking to North America at Isthmus of Panama cutting off warm equatorial currentsand cooling the the Atlantic, marking beginning of current ice age. Mediterranean Basin, dry grassland since the Miocene, replaced by grasslands, reflooded due to tectonic activity. Cooler & drier climate reduces tropical plants as deciduous & coniferous forests as well as grasslands & savannas expand. North and South America connected at ~ 3.4 mya by eastward drift of Caribbean plate, generally warming the planet due to shifting ocean currents. Uplift of mountains in the western Mediterranean & lower sea levels together cause a temporary drying up of the Mediterranean Sea resulting in the Messinian salinity crisis. Expansive grasslands formed giving rise to new fauna & megafauna..
During this long epoch continents drifted to nearly present positions except for connection of South and North America. Pacific subduction zone margin caused Andes mountains uplift. India continued collision with Asia. South America & Antarctica detached, the former drifting north toward North America and the latter south to become isolated and ice Covered; tenabling the Antarctic Circumpolar Current. Mountain uplifts continue in western North America, as well as the Alps in Europe with collision of African & Eurasian plates. Grande Coupure extinction event possibly due to volcanism, CO2 decrease & cooling. Eocene ends with extinction event. After middle Eocene, global cooling to continue through Cenozoic. Southern circumpolar current formed due to northward drift of South America, cooling Antarctica & enabling cold water flow north, gradually ending Mesozoic greenhouse climate. Rocky Mountain uplift completed & sedimentary erosion increases. Early Eocene characterized by significant global warming & corresponding sea level rise, & coastal flooding in Africa, Australia & Siberia. At epoch end Earth still recovering K-T event with subtropical climate extending nearly to polar regions lacking ice caps; seabed methane release fuels greenhouswe effect and high ocean temperatures, with inland ocean intrusion widespread. Continents continue drift toward present state. North and South America still separated, Laurasia remains intact; Europe and Greenland connected; North America and Asia joined by Bering bridge. Greenland and North America were beginning to separate. Gondwana still drifting apart (Africa, Antarctica and Australia South America. India drifting to Asia to eventually cause Himalaya uplift. Africa drifting toward Europe, closing Tethys Ocean. Ends with Cretaceous - Tertiary (K–T) extinction event. Major extinctions include non avian dinosaurs and ammonites Some 17% of families, 50% of genera and 75% of species disappaer. Lizards; placental animals (early mammals); Also appearing: snakes; social marsupial and primitive placental animals. New insect forms appear and radiate, including social Hymenopterans. Pterosaurs common, then decline; Archosaur reptiles and dinosaurs small to huge apex predators common on land, and Chondrichthyes and Actinopterygii fishes in the seas diversify. Large theropod predators such as Allosaurus Ceratosaurus & Megalosaurus. Archaeopteryx transitional bird fossil from Solnhofen. Archosaurian reptiles dominate the land through Jurassic, including herbivorous sauropods (Camarasaurus, Apatosaurus, Diplodocus, Brachiosaurus). Other appearances include birds; crabs; frogs and salamanders. Dinosaurs radiate to dominate the land. Pangaea begins to separate into Laurasia and Gondwana & Atlantic Ocean forms. Herbivorous Stegosauria & Brachiosaurus & Carnosauria theropod dinosaurs appear. Appearances include Pliosaurs, birds; crabs; frogs salamanders & lepidopterans. Extinction even at ~ 200 mya killed some 23% of all families, 48% of all genera (20% of marine families and 55% of marine genera) and 70% to 75% of all species went extinct. Appearances include: dinosaurs (early theropods); crocodiles; marine reptiles; turtles; Pterosauria and mammals; Dermaptera insects. Major new groups of seed plants appear. Early small dinosaurs like Nyasasaurus appears. Radiation of planktonic organisms in lower food chain. Ichthyosaurs & belemite cephalopods appear. Recovery slow from P-T extinction due to low faunal & floral diversity. Tetrapoda would take some 30 my to recover. The great dying, the Permian-Triassic (P-T) extinction event at 251 mya eradicates 95% of all life, though most plants minimally affected. Blastoids & remaining Proetid Trilobites; all but articulate crinoids dissapear forever. Seed plants are producing large trees. The primitive amniotes radiate into ancestors of lizards, mammals, turtles, lizards and archosaurs. Continents converging toward formation of Pangea supercontinent. Begins with widespread glaciation and proceeds through continual global warming. 1st Conifers near end of epoch. Diverse and common amphibians give rise to 1st reptiles (possibly amniotic) at ~ 315 mya - reptiles become dominant tetrapods by end of epoch. Dense coal forests form, comprising scale trees, ferns, club trees, tree ferns, giant horsetails, cordaites. Major radiation of winged insects. First beetles (Coleoptera) and dragonflies (Odonata). Hexapod arthropods large, diverse, and the primary forest herbivores. High diversity of marine life across brachiopods, bryozoans, echinoderms fishes, mollusks, and . Land plants divide with seed plants to drier areas and lycopods to wetter areas. Pulsing mass extinction (F-F) lasting 20 my from ~ 375 mya, with causes disoputed and equivocal; hypothses include: decreased atmospheric CO2 due to plant C fixation, triggering less greenhouse effect, global cooling, and glaciation; some evidence of exacerbation by asteroid strike. Gondwana also drifted north too. Eventually, closre between Euramerica and Gondwana to form Pangea into the Mesozoic. With high tectonic activity, landmasses formed two neighboring supercontinents, Gondwana and Euramerica. Laurentia and Baltica collided, forming a new supercontinent, Euramerica, new orogeny. Sea levels continued climbing. Eurypterids, the largest arthropods that ever lived, appear and become common marine predators. Melting glaciers cause the sea levels to rise again, resulting in return of greenhouse conditions as in Ordovician and Devonian. Supercontinent Gondwana covers equatorial Earth. Mass extinction event from ~ 450 mya putatively caused by movement of Gondwana to south polar region, leading to global cooling, glaciation and consequent sea level fall, disrupting continental shelf ecosystems. Other phenomena, such as a decline in volcanism and reduced atmospheric CO2 have been conjectured to have worsened the extinction. Evidence of first jawed fish, the Gnathostomata at ~ 460 mya. Commences with the great Ordovician radiation (Ordovician explosion), as life recovers from the Cambrian – Ordovician extinction event (488 mya). Diversity eventually far exceeded that of the Cambrian. First Nautilods at ~ 495 mya. Through Paleozoic, landmass will move together to form supercontinent Pangaeaat end of era. Continental shelf waters plentyful and shallow, with high continental drift rates. Laurentia, Baltica and Siberia were main separate continents after Pannotia break-up. Gondwana drifted toward the South Pole. Panthalassa covered most of the southern hemisphere, and minor oceans included the Proto-Tethys Ocean, Iapetus Ocean and Khanty Ocean. With the melting of the Marinoan glaciation, ending 635 mya at start of Ediacaran, sea levels were high causing major of continents in warm, shallow seas ideal for life to radiate. The Cambrian started relatively cold, but Earth warmed throughout, causing rising sea levels. End-Botomian mass extinction from ~ 524 - 517 mya putatively caused by extensive encroachment of anoxic waters onto epicontinental seas, in turn, caused by phytoplankton blooms. Cambrian Explosion begins with landmass dispersed into a many small continents, a result of breakup of supercontinent Pannotia. Extinction at end of Ediacaran, putatively caused by Ocean anoxia. The continents recombine to form Pannotia, the Vendian supercontinent, at ~ 600 to end of Proterozoic. Rodinia begins to break apart at ~ 750 mya. Large glaciations occur with much of supercontinent Rodinia covered by them. The Sturtian glaciation was ~ 750 - 700 mya and the Marinoan glaciation ended approximately 635 mya at start of Ediacaran becoming Adamastor Ocean during Ediacaran. Rift develops between the land masses of what today is Australia, eastern Antarctica, India and the Congo and Kalahari cratons on one side and later Laurentia, Baltica, Amazonia and the West African on the other (see Rodinia map). Rodinia supercontinent forms at ~ 1000 mya, setting stage - its breakup at 700 mya have played a role in the Cambrian Explosion. Colonial green algae flagellates cover the seas. Free atmospheric oxygen build-up continues desimating some prokaryotic bacteria, but enabling replacement by newly evolved eukaryotic forms, including photosynthetic multicellular algae. The "Boring Billion" years of evolutionary stasis begins. Banded iron formation diminishes allowing atmosphere to oxygenate rapidly, reaching ~ 15% at ~ 1800 mya. Columbia supercontinent forms at ~ 2500 mya. The Huronian glaciation (Snowball Earth period), the oldest known and longest ice age from ~ 2400 to 2100 mya during was precipitated by Great Oxygenation Event (GOE). Mass extinction of obligate anaerobic prokaryotes intolerant of oxygen. Production of Oxygen already absorbed in oceans and built in atmosphere, reducing atmospheric methane and its otherwise warming greenhouse effect. Banded iron formation accelerates at ~ 2400 mya, continuing at high rate until diminishing at ~ 1800 mya -- the rusting of the seas commences. Stromatolites widespread. Oxygenic photosynthesis to result in so-called oxygen catastrophe later Paleoproterozoic from a poisonous buildup of oxygen in the atmosphere. Atmospheric oxygen ~ 1% by end of era. Supercontinent Kenorland formed at ~ 2700 mya. Prokaryotes dominate (Eubacteria and Archaea); simple cell forms generate extensive stromatolite reef systems. First acritarch microscopic fossils. 1st substantial free oxygen from photosynthetic archaea and bacteria at ~ 3000 to 2300 mya, after which free oxygen produced by these prokaryotes combined with dissolved iron in the oceans to form banded iron formations until ~ 2000 to 1300 mya -- the so-called rusting of the Earth. Oldest life of Earth evidence that is not contested at ~ 3000 mya. Continental plates begin forming, though scientists disagree on whether there was more or less plate tectonic activitythan later in geologic time. The thin and plastic crust may have prevented cratons from forming. Putative first appearance of life, at ~ 3800 mya & is Archaea or Bacteria, chemotrophic, anerobic, asexual, prokaryotes, fairly soon after end of earth bombardment - no consensus for this geochemical-based evidence. Oldest sedimentary rocks ~ 3800 mya. Solid rock survives, largest the Isua Greenstone Belt at ~ 3800 mya on the south-west coast of Greenland. ; Acasta Gneiss within the Canadian Shield at ~ 4030 mya ( the oldest); and the Nuvvuagittuq greenstone belt in northern Québec Canadaat ~ 4280 mya. Earth's crust cooled by ~ 4000 mya, but atmosphere comprised volcanic gases and minimal oxygen. The 1st oceans were formed. Earth's crust solidifies, though lava persists in places. Late heavy bombardment from space ends at ~ 4000 mya ends, setting stage for life to appear. Earth's oldest surviving rock from Canada dated at ~ 4030 mya. No geological evidence survives, except putative oldest surviving rocks are zircons date from ~ 4000 mya. Volcanic and other geologic activity produced the primordial atmosphere. Condensing water vapor and ice from comets producing primitive oceans. Nectarian begins with so-called Late Heavy Bombardment of Earth from space. Crust formation continuing through Hadean, as does mountain building. Name derived from groupings of major lunar impact crators. Water begins building in atmosphere. As outer layer of Earth cools to thin crust, constantly disrupted by impacts. Earth's environment exceedingly hostile to life as we know it. Literally fire and brimestone and violent hell on earth. Prodigious water would have landed on Earth from Space. Meager geological evidence survives from this time, having been destroyed by bombardment of earth from space projectiles, including the one that putatively formed the moon. Earth forms at ~ 4567 mya. Moon forms ~ 4533 mya due to some huge impact. Earth essentially molten owing to volcanism and space collisions. Solar system forming ~ 4600 mya.